WE DO NOT DO ANY VIEWINGS ON SUNDAY SORRY. 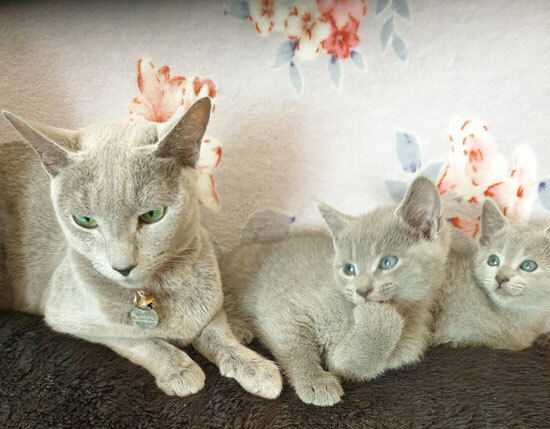 Blue Russian cats have gentle character. They are obedient and tactful. These are clever creations which like to show character, despite the sensitivity and gentleness. In communication with the owner the cat shows the best qualities. It always reacts to gesticulation, tone and the speech of the person. Manifestations of vindictiveness and wrecking are alien to it. Russian blue with pleasure will sit together with you at a fireplace, but hardly ever allow to squeeze herself. Congenital ideal education and vigilance force it frostily and shy to behave with strangers. She will remain cold exactly until, yet won't feel trust from the new person. 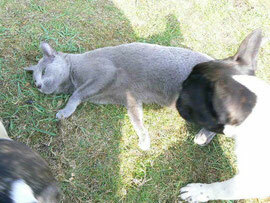 The Russian blue perfectly is suitable for life in a family – even in the biggest. Also this creation is held often by lonely elderly people. She is able to listen to monologues of the person, calming him during depressions and adversities. When business reaches communication with small children, the Russian blue forgets about the aristocratical arrogance and joyfully participates in intensive games. By the way, in contacts with people she never shows the teeth even if cruelly treat it. The conflicts can arise unless in the relations with domestic dogs, but this history is old, as the world. Russian Blue cats produce less of the Feld1 protein in their saliva; this is what causes most cat allergies. Because of this, some mild allergy sufferers will not be allergic to the Russian Blue but this is not a hypoallergenic cat breed for everyone. We let our kittens go to carefully selected families at age from 13 weeks, fully vaccinated, Vet checked, wormed up to date, with 4 weeks free PetPlan insurance, kitten food, signed contract and care list. Our cats are TICA registered and have 5 generation pedigree. Also our kittens used to children, dogs and house noises. 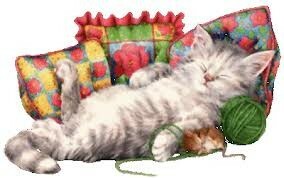 - Your Kitten/Cat Pet Insurance. Vaccination card with health confirmation from a certified veterinarian, five generation pedigree, kitten food and a copy of this contract will be provided on day of sale along with a kitten. The Purchaser further understand that if there is a failure to keep any part of this contract, or if the cat/kitten, is neglected, maltreated, or is failing to receive adequate medical care, the Purchaser surrender the cat/kitten to the Breeder unconditionally and without financial restitution or compensation. ANATOLIA cattery’s contracts are comprehensive because they are meant to offer full protection for the kittens we raise in our home. No cat or kitten will be delivered or leave to go to its new home before we receive a signed contract and payment in full. The Breeder has taken care with breeding, rearing and the welfare of the Kitten /Cat. The Kitten /Cat is believed to be in good health and it is sold in good faith. The new Owner is strongly advised to take Kitten /Cat to their Vet, soon after purchase, for general check and advice on inoculations and worming. The Buyer has 48 hours to have the Kitten /Cat examined by a licensed Veterinarian. If, as a result of the examination, the Veterinarian determines that the Kitten /Cat is not in good health and will issue a Certificate of defect/ disease, the new Owner shall have a right to make a return a Kitten /Cat during a period not exceeding 12 hours for a full refund of purchase price. Should it become necessary, the Purchaser should be aware that the return of a Kitten /Cat can be very difficult, especially emotionally and, having drawn the attention of the Purchaser to this, the Breeder cannot be held responsible for any distress caused by the return of the Kitten /Cat. The Purchaser agrees that if, at any stage in the Cat's life, the Purchaser need to re-home the Cat, the Breeder will be the first to be informed and the Purchaser will, if the Breeder requests, return the Cat to the Breeder. The Breeder will offer every reasonable assistance to find a new home . The Purchaser agrees to provide reasonable health care and veterinary services as required to maintain a healthy animal. 1. Will be kept in appropriate conditions for its health and welfare and will be fed a suitable diet for its age and condition. 2.Will receive regular vaccinations from a veterinary surgeon. 3. Will receive all necessary veterinary care to maintain its good health. 4.Will not be allowed outside unsupervised at any time. I/ We confirm that I /WE have read and had a full explanation of all the details and meaning of this contract prior the purchase and I /We fully understand its purpose and reason. I /We also confirm that I /We are purchasing this Kitten/Cat for myself and not as agents or third party.